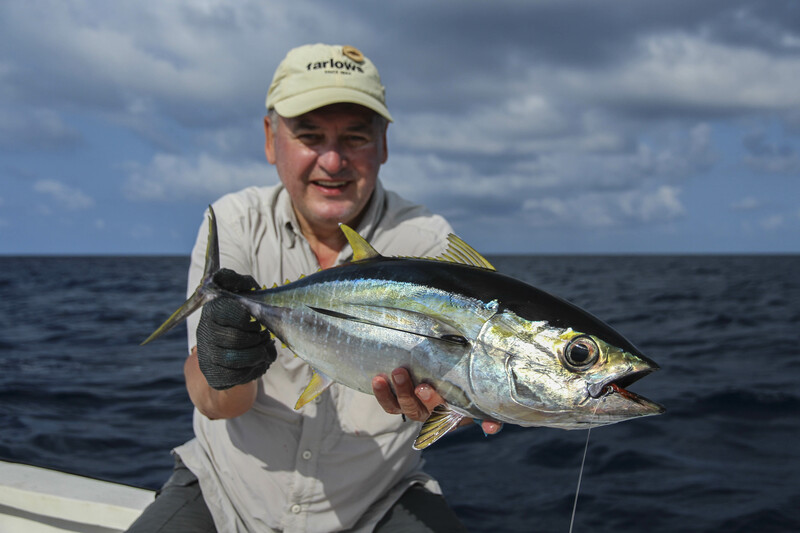 An all Russian contingent boarded Lone Star for week three of the Cosmoledo season. 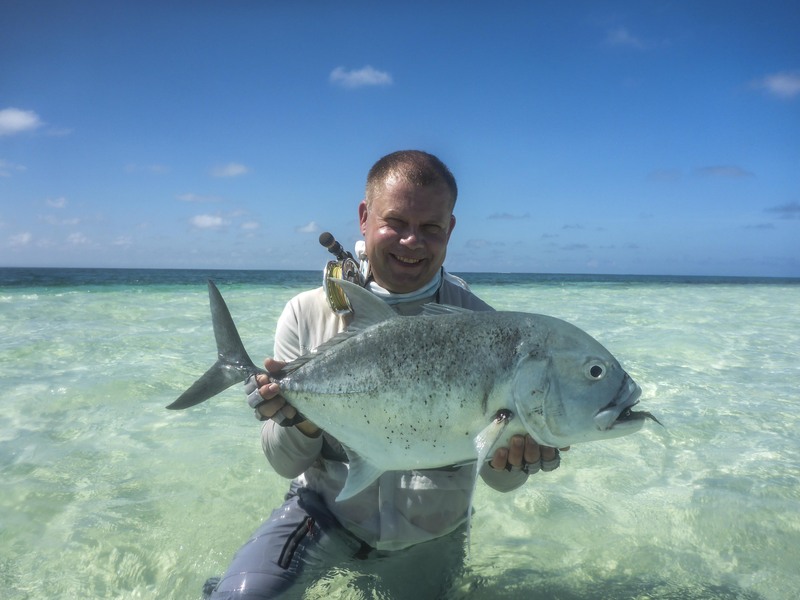 With the fresh South-Westerly wind predicted to ease as the week progressed and with the New Moon spring tides on the horizon the guide team was excited to get out onto the flats. 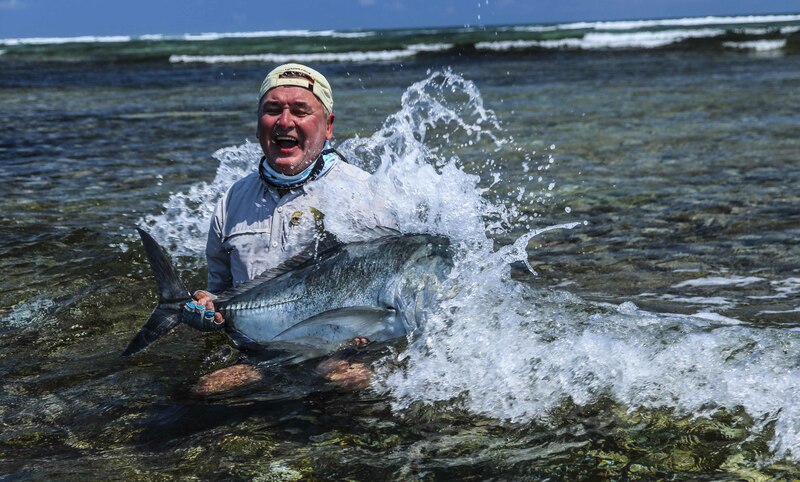 It didn’t take long for the guys to produce the goods with Sergey Gabestro starting instantaneously on the first morning with a solid 93cm GT landed a couple hundred meters from where the Lone Star moors. 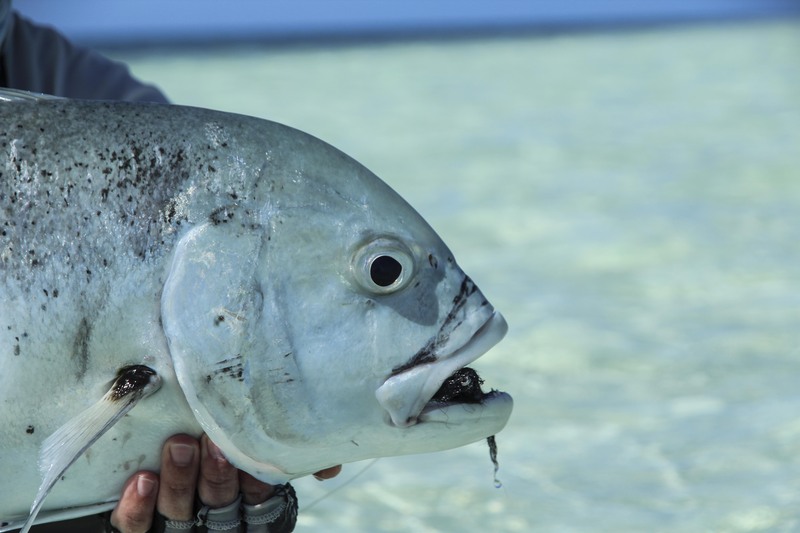 As the week progressed the stories told around the dinner table of fish landed and lost continued with toasts of success. 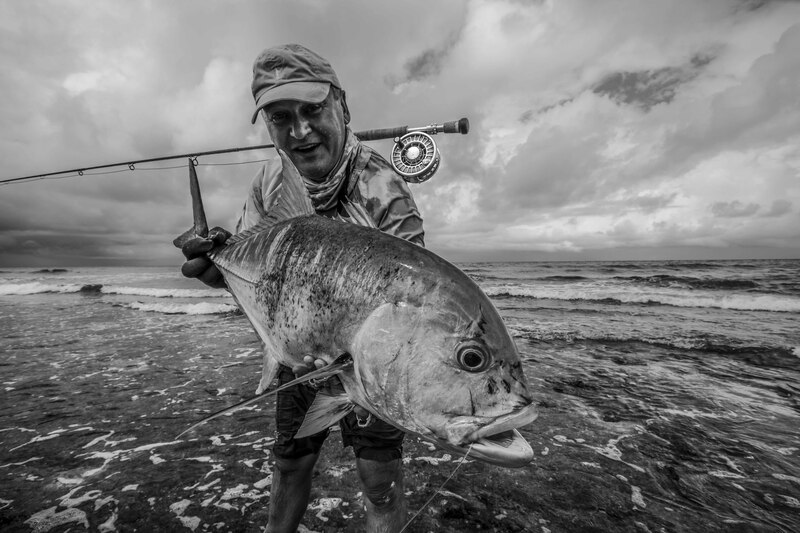 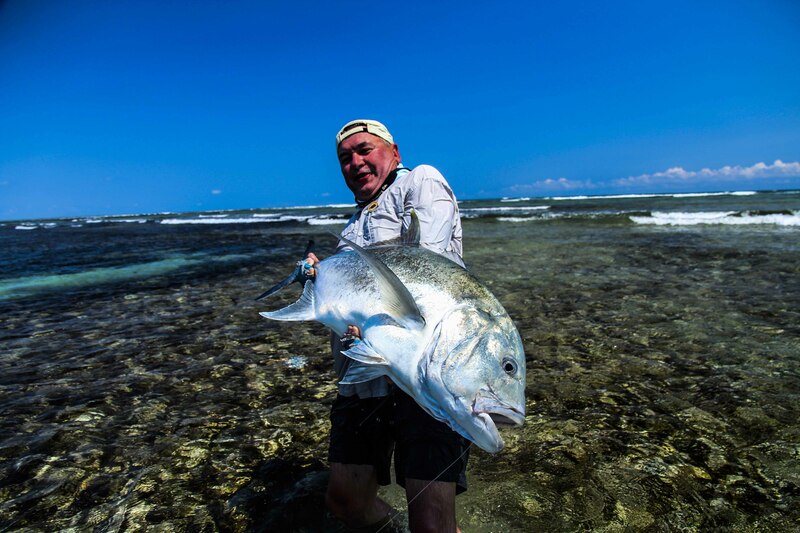 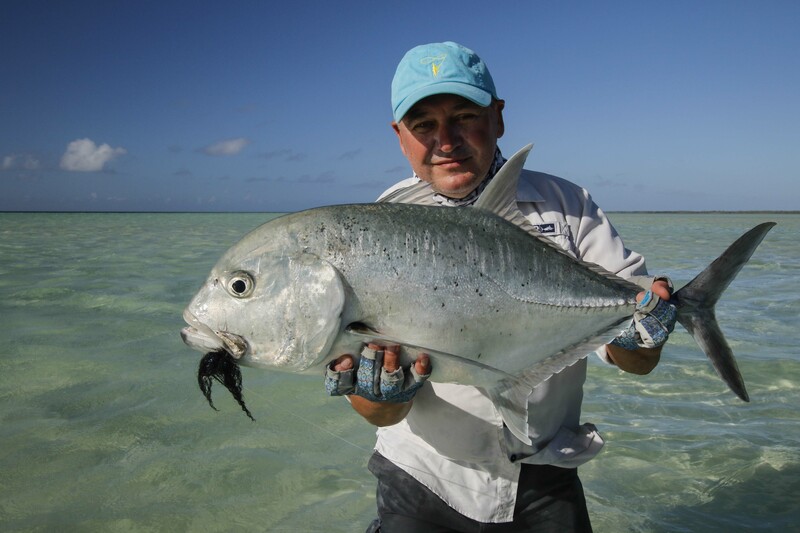 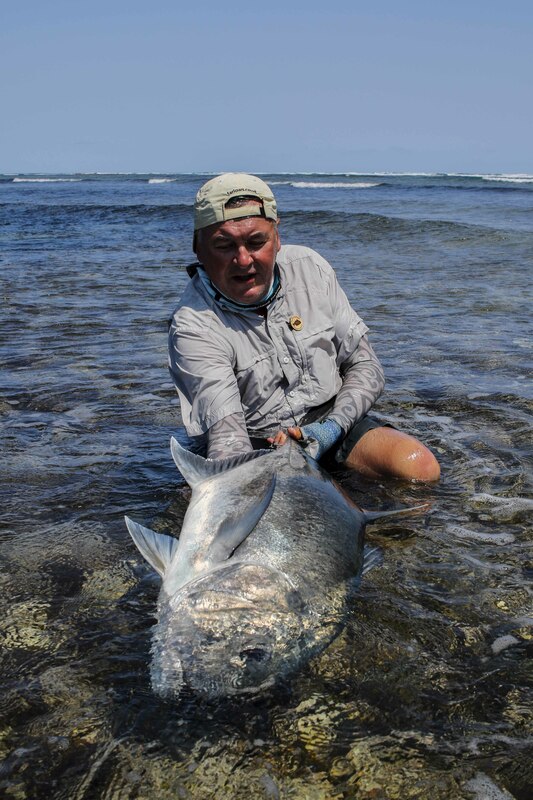 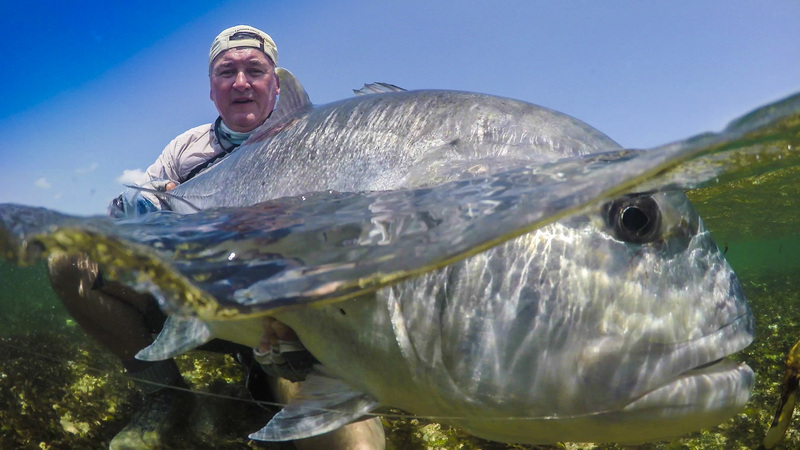 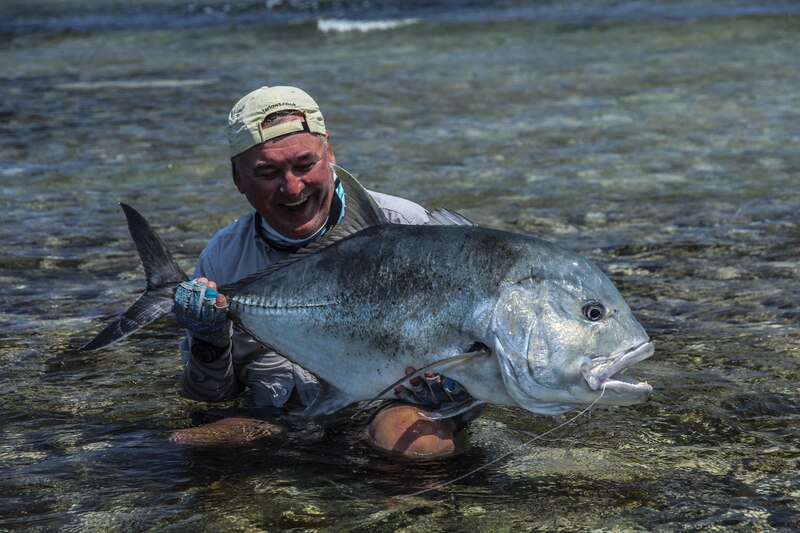 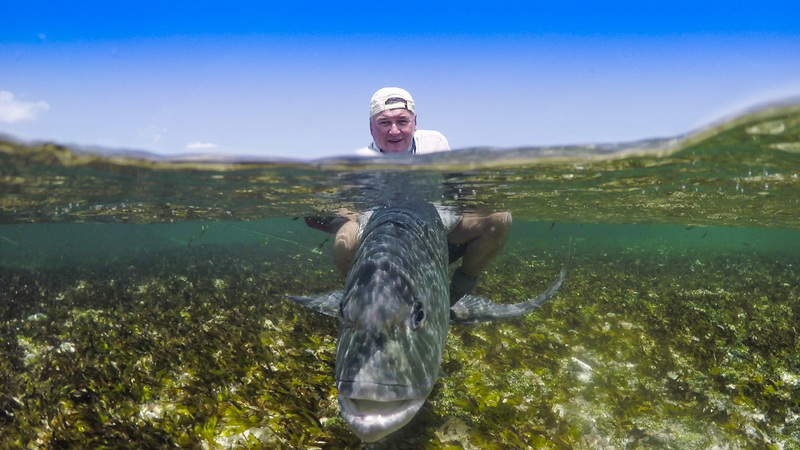 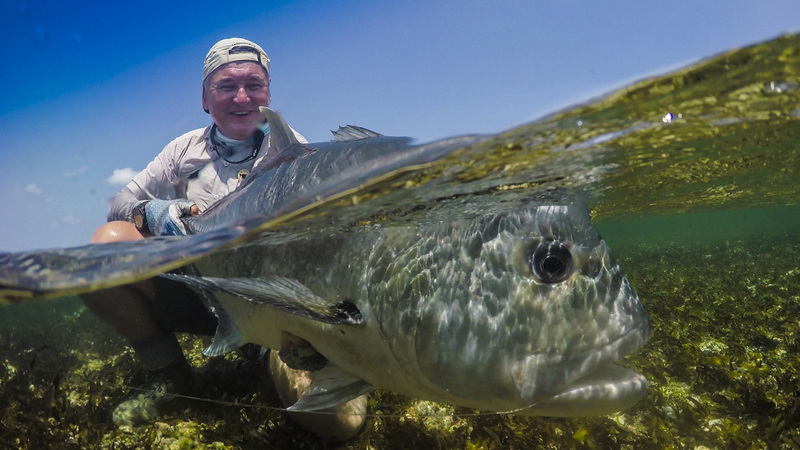 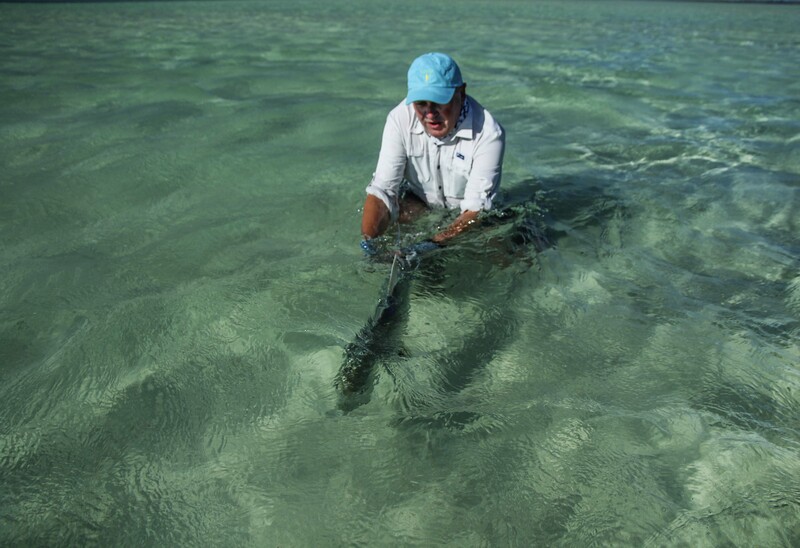 Some incredible stories like Vladimir Rybalchenko spent an unforgettable afternoon chasing after a school of GT’s that were smashing into bait fish, resulting in them being washed up on the beach from time to time. 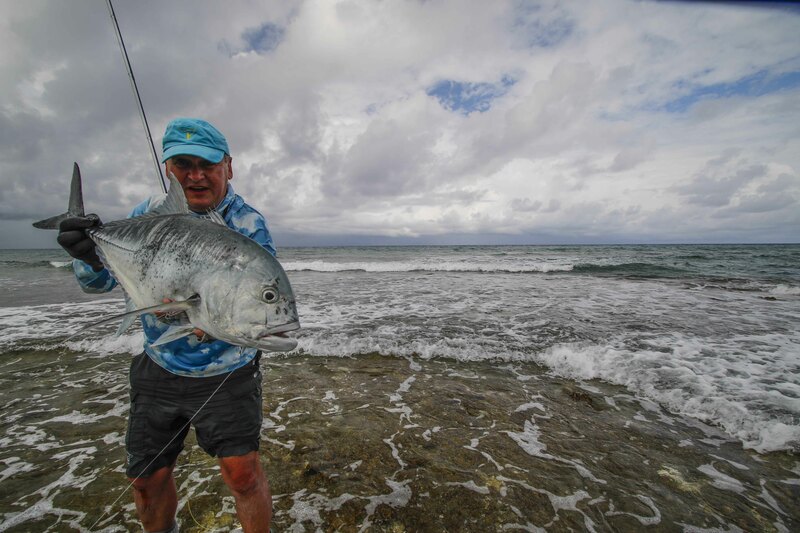 As it was on his last trip to Cosmoledo, Vadim Titovets once again landed the biggest GT of the week measuring 105cm’s, which was caught in the surf, making the experience extra special. 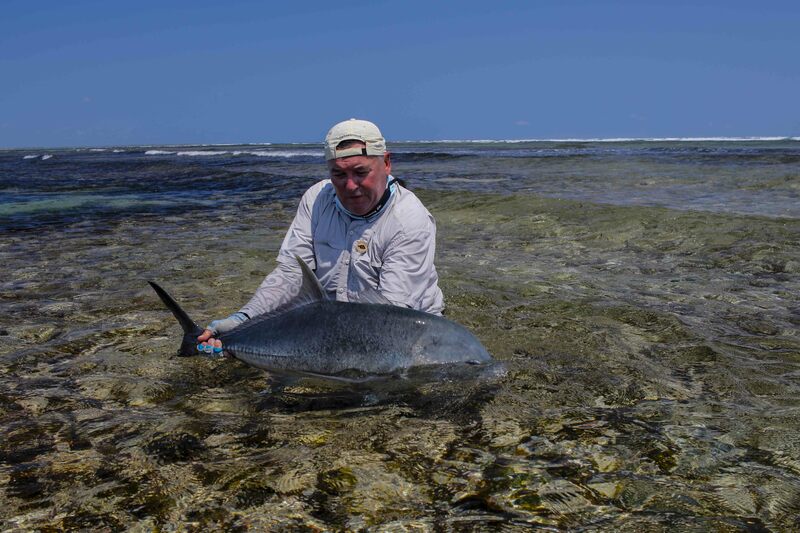 At the end of the week, an impressive 76 GT’s had been landed, which is just short of ten per person. 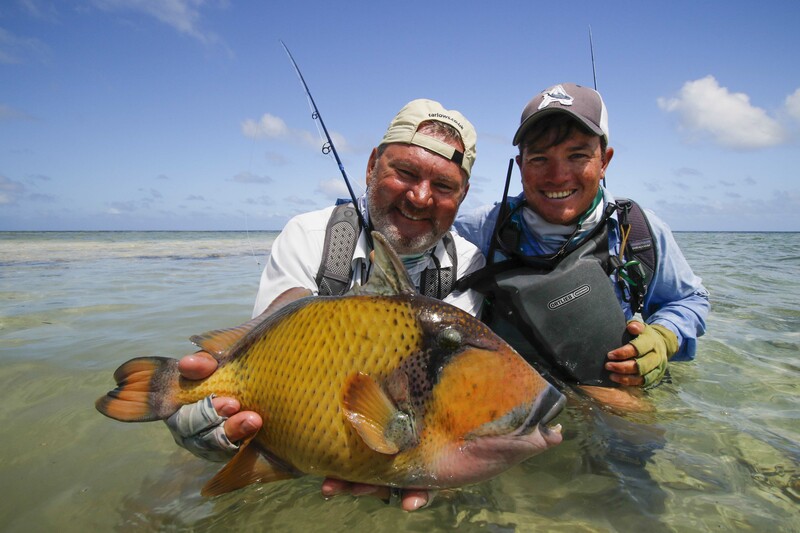 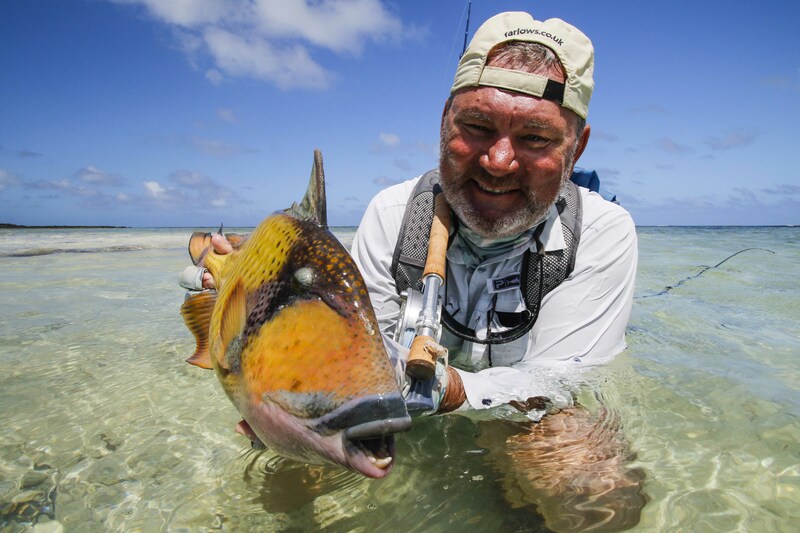 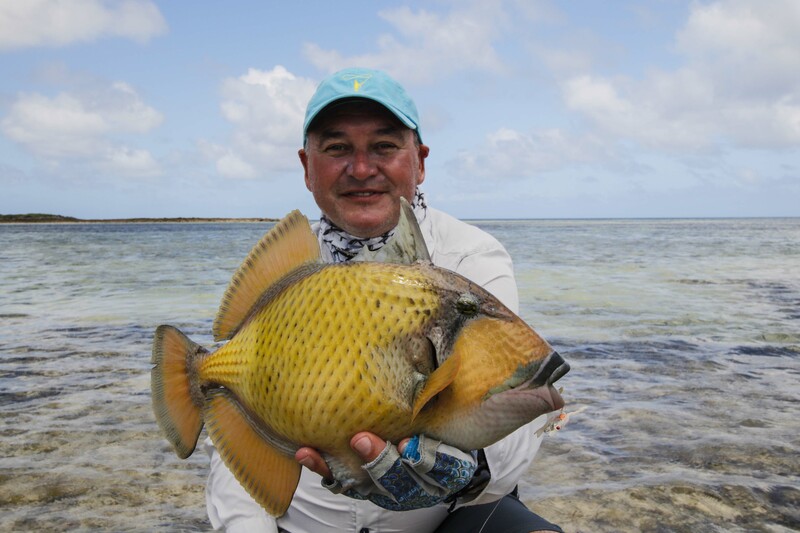 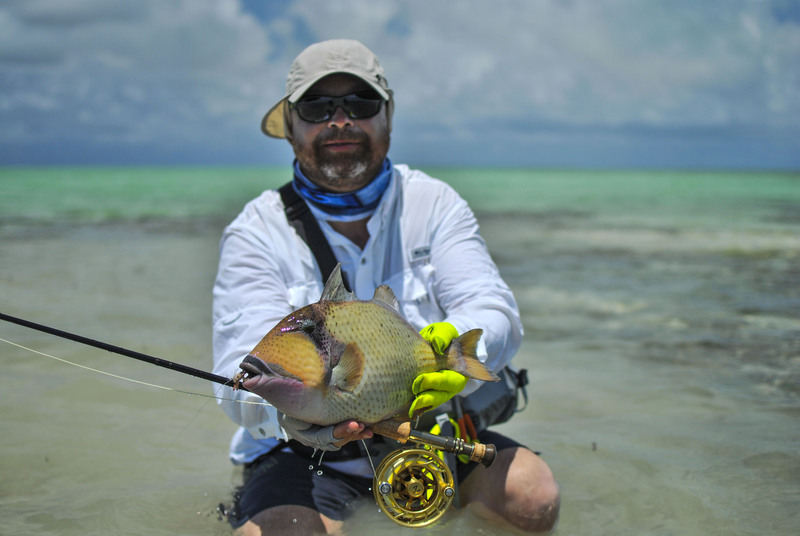 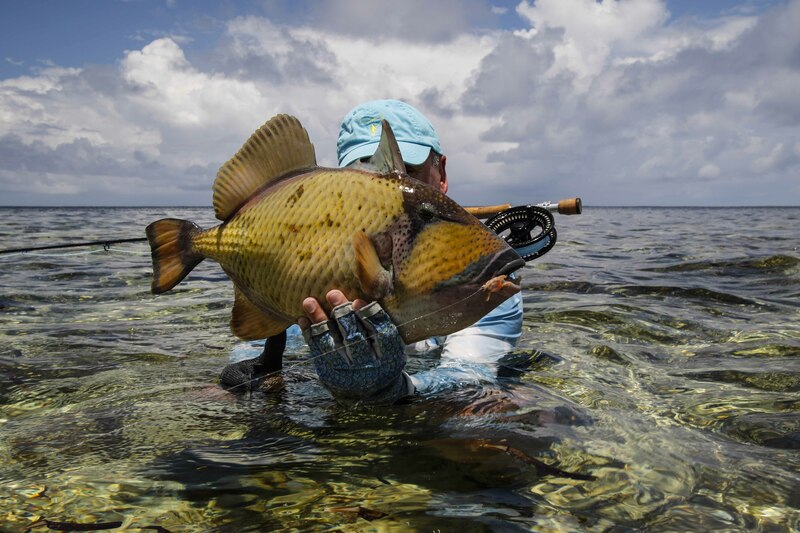 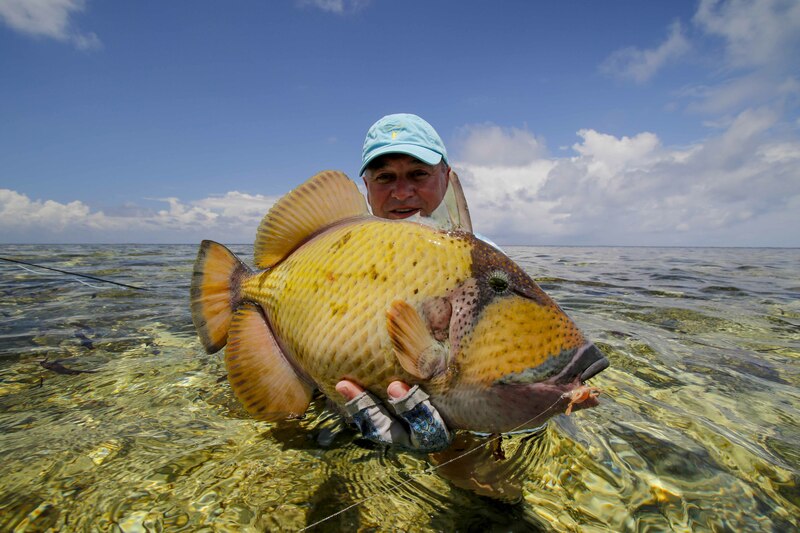 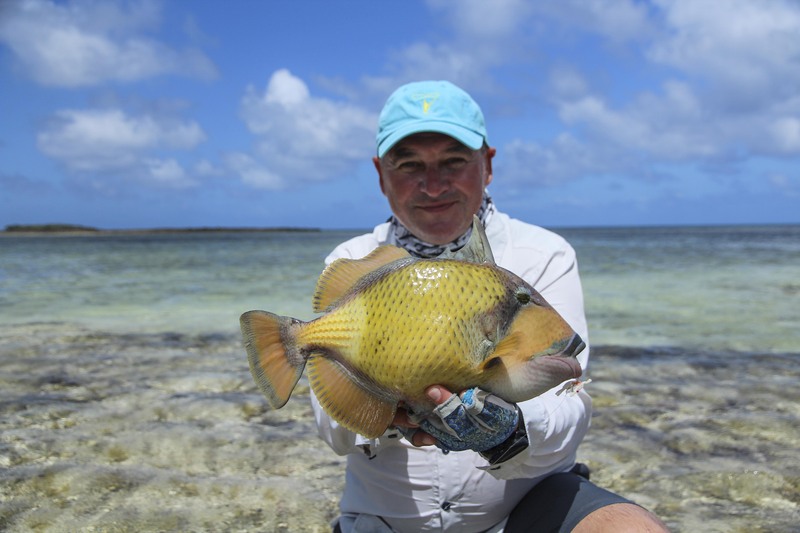 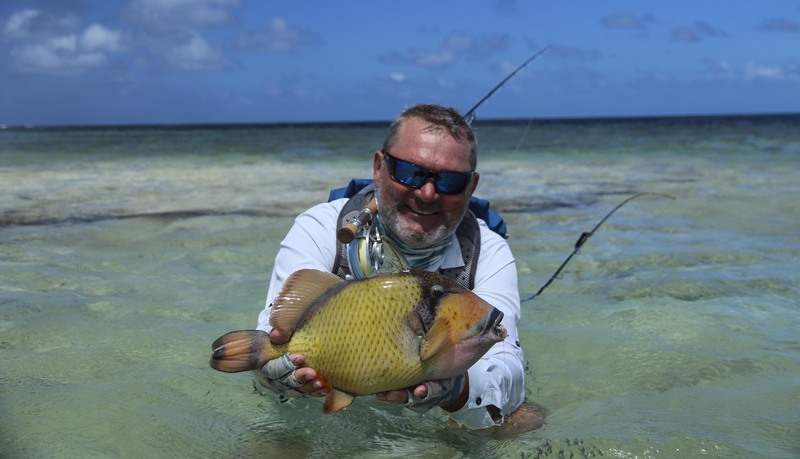 Vladimir Rybalchenko, Vadim Titovets, Sergei Pashigorov and Sergey Gabestro also all landed triggerfish with six landed for the week. 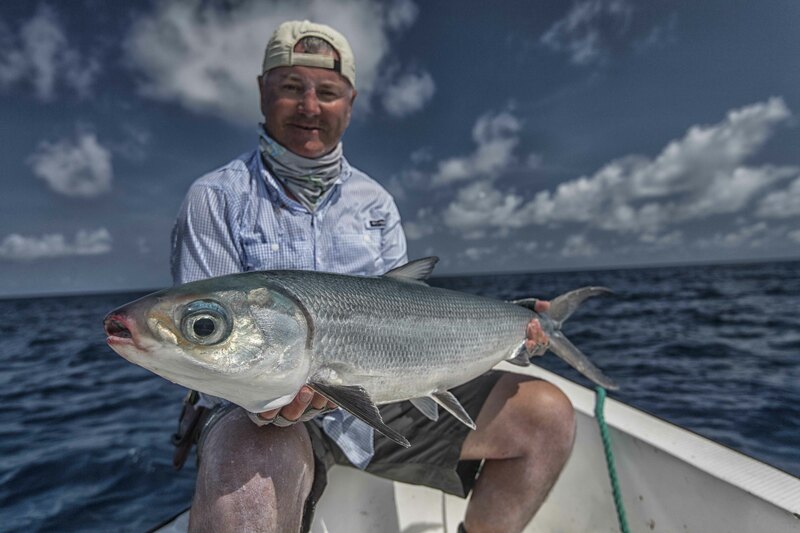 Vladimir Rybalchenko‘s skills shown through when on the last day he managed to land the first milkfish of the Cosmo season! 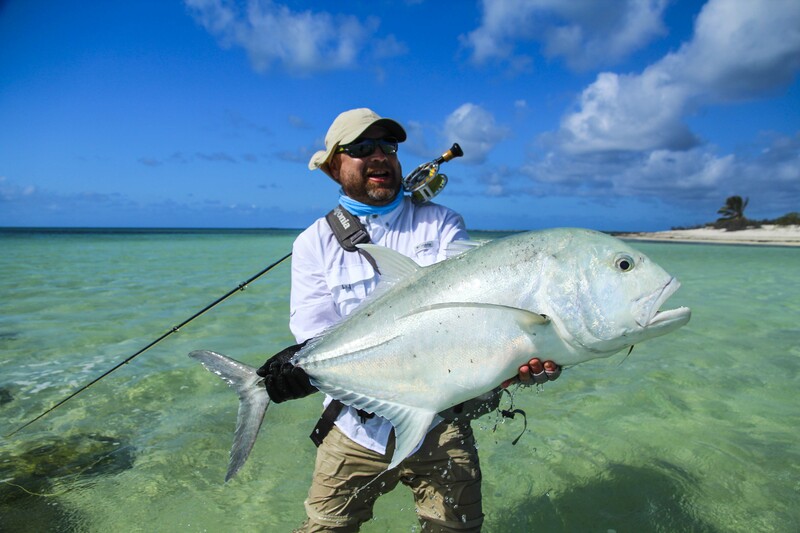 With the flats fishing really starting to heat up the guide team can’t wait to get back out there for the final week of 2016, before a short break and the season commences in February 2017. 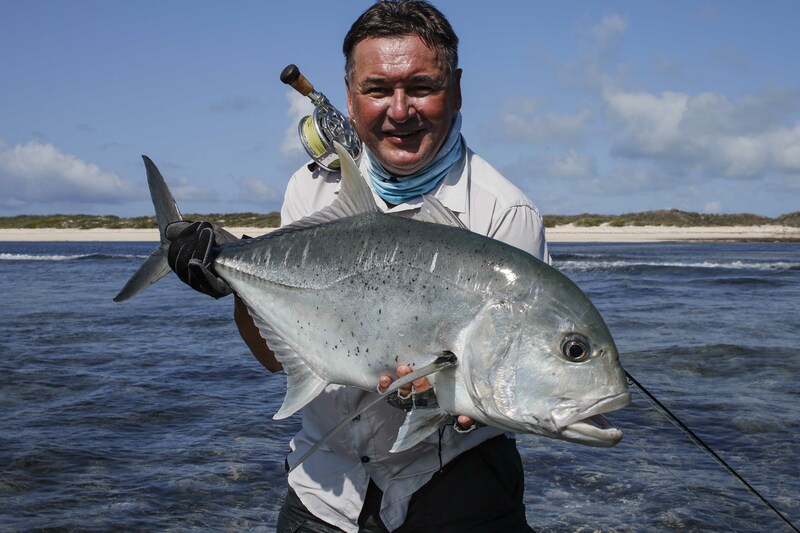 Next week’s report is set to be a cracker with more and more GT’s appearing every day. 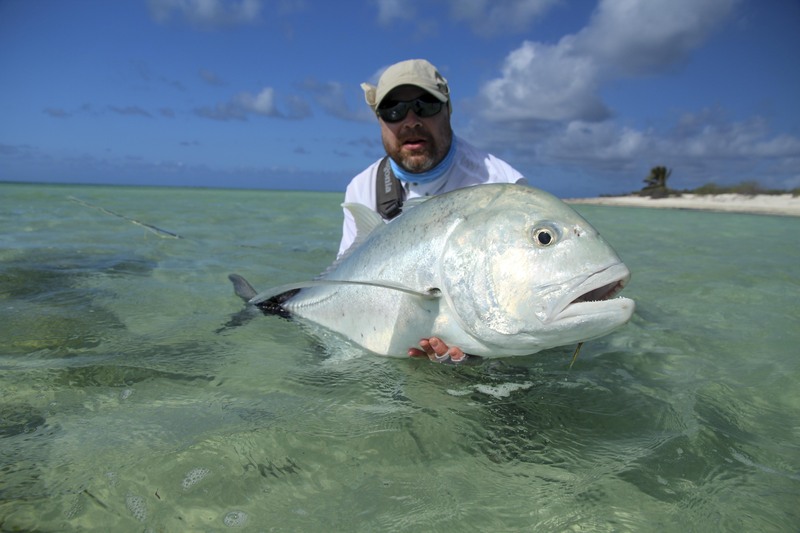 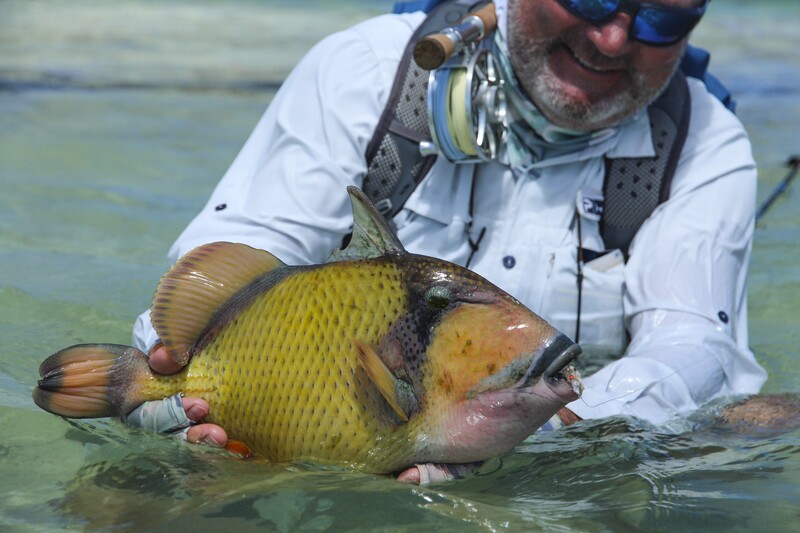 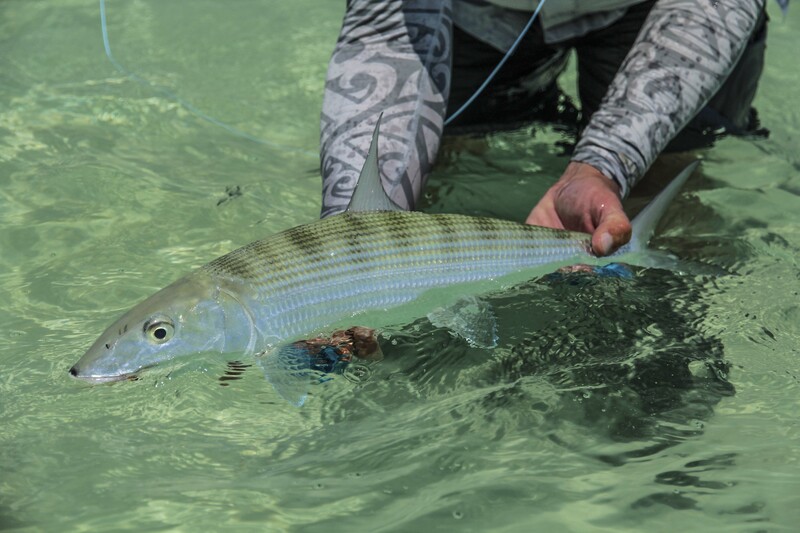 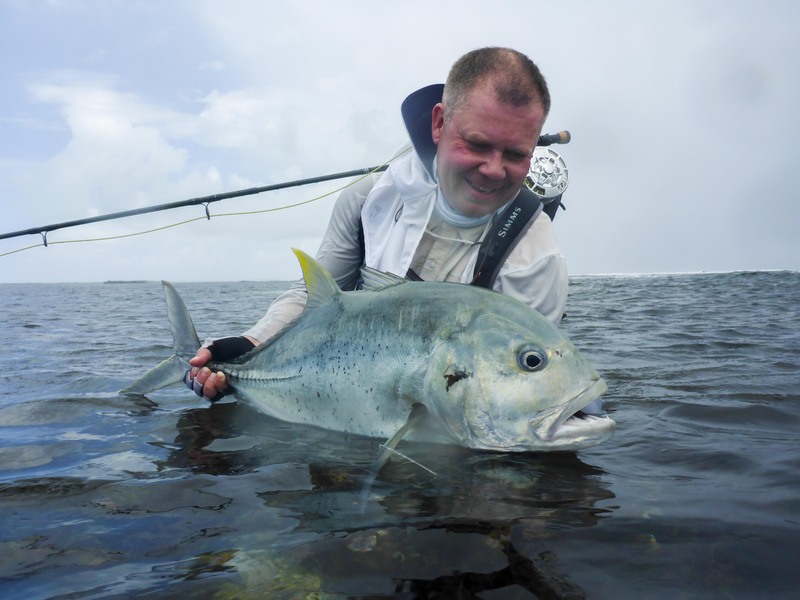 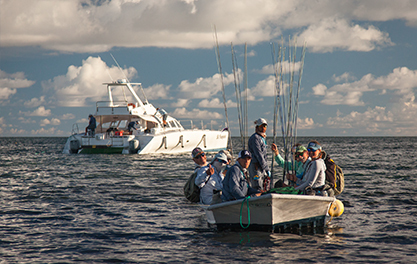 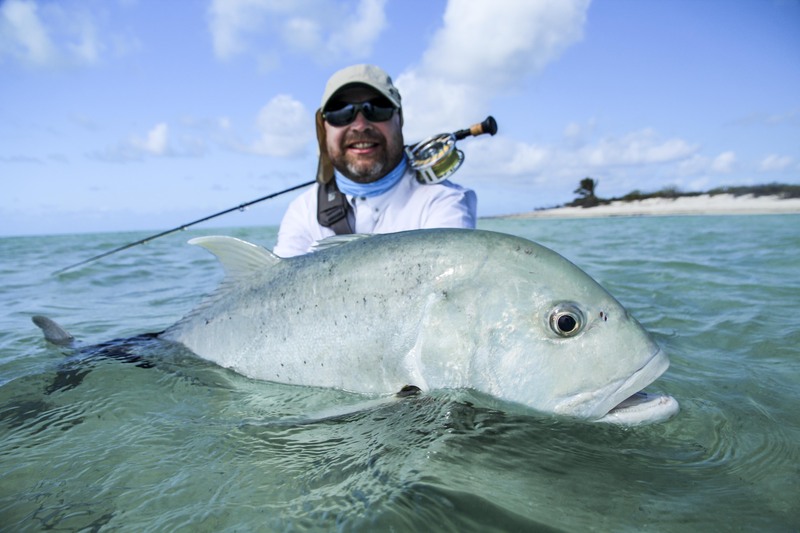 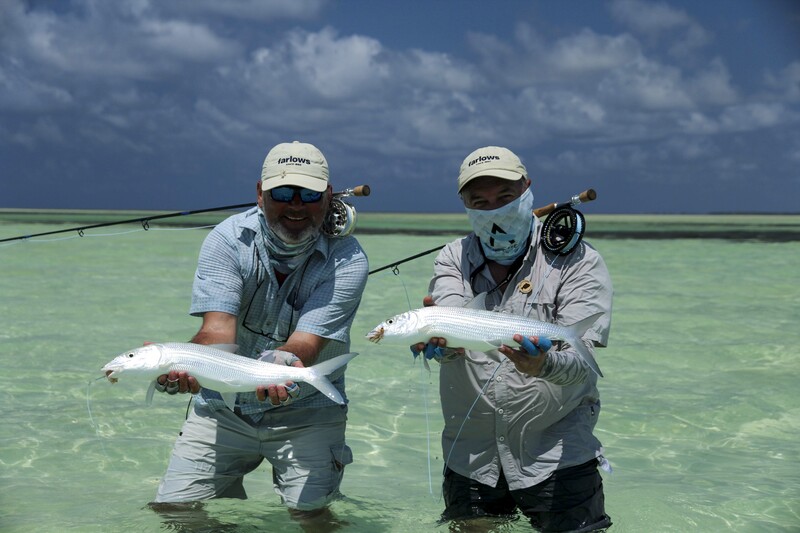 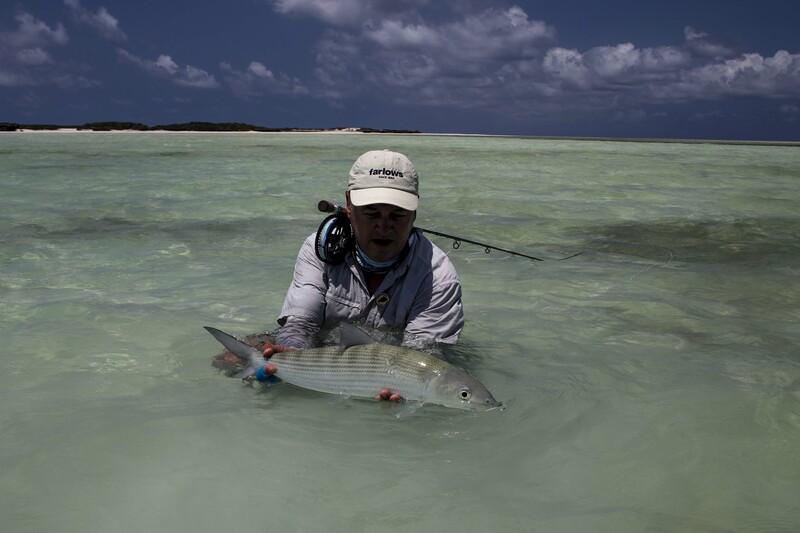 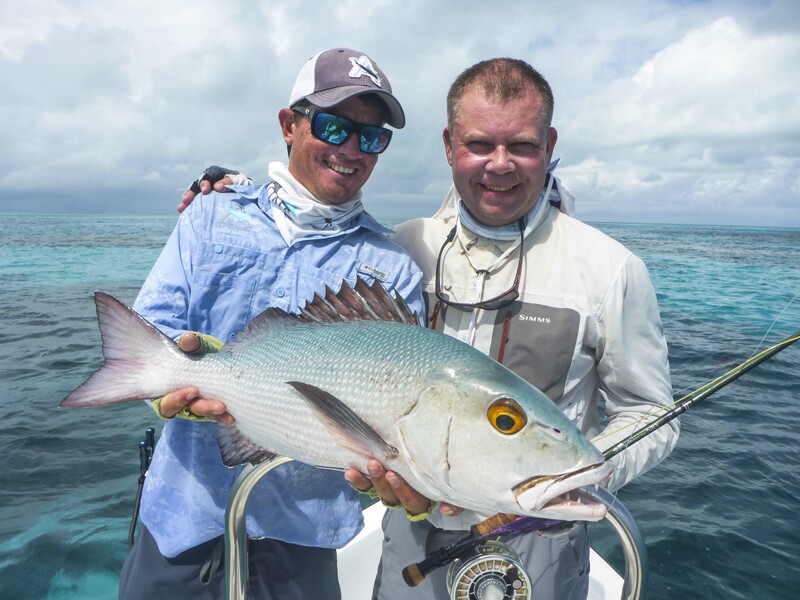 Tight lines from the Alphonse Fishing co. team at Cosmoledo.